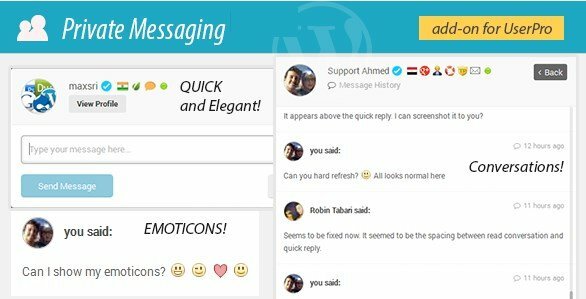 Woocrack.com – Private Messages for UserPro is a WordPress Plugin being distributed by Codecanyon. This plugin adds private messaging between users and allows users to receive notifications about new messages, view conversations, reply to other users. Download Now Private Messages for UserPro at Woocrack.com for $5 or Free For Member Club. You’ll receive the exact .zip file you would download from the original author. If you buy on woocrack.com, you can save your money up to 99% and 100% virus free.